Professional Plotter Technology specializes in Leasing, Sales, and MPS (managed Print Services) of all digital imaging technology. We sell major brands like Epson, Mutoh, Canon, HP, Konica Minolta, and others. We sell all Wide format Printers, Epson Printers, Innovative Canon Imaprograf IPF technology has changed the way images and text are put to paper. Canon’s Lcoa technology has redefined both color and black-and-white printing standards, a. Today, Canon is leveraging its heritage in the printer business and its branding expertise to extend this market presence with the first in a full line of Canon ImagePROGRAF Wide format Printers. These network printers target the corporate marketplace. Canon’s Bubble Jet printing technology has completely revolutionized color printing by consistently delivering new technology and innovations. From the introduction of Photo Inks to exclusive developments like MicroFine Droplet Technology, Canon Bubble Jet Printers continue to set the standard in ink jet printing. Professional Plotter is the leading Canon imagePROGRAF iPF Wide Format Printer dealer in the country. We carry all Canon ImagePROGRAF wide format Printers, Plotters, service, and supplies. Professional Plotter is the top authorized Canon Imageprograf IPF wide format Printer reseller with the nation's most experienced technical staff providing 27-7 Live tech support you will always get a live person. We offer FREE Shipping, FREE 3 year extended full parts and labor warranties on all Canon ImagePROGRAF large format printers. Ask about our "MatchPro" Price guarantee! We beat any advertised price on Canon ImagePROGRAF wide format printers and give you a free box of paper. Receive a FREE 2 year extended on-site warranty just for joining our Customer Loyalty Program. Ask about our Layaway and Leasing Rental and New MPS and FlexPRO rental programs! 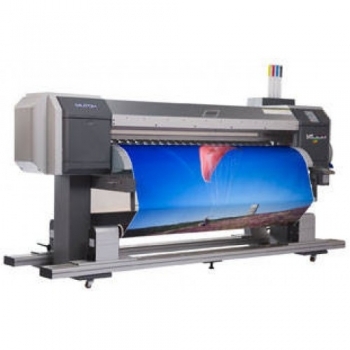 Mutoh Valuejet wide format eco-solvent and dye sublimation printers The applications are limitless with Mutoh’s ValueJet printers, Banners, vehicle wraps, outdoor signage, Dye sublimation, wallpaper, ect.... The Mutoh Valuejet fits into any size print shop. You can easily and efficiently create a variety of applications including stickers, decals, banners, indoor and outdoor signage. 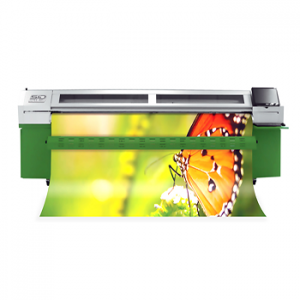 Plotterpro has the best price on all Mutoh Valuejet eco- Solvent eco-ultra Wide format banner printers. You can even print directly onto Eco-solvent transfer paper to create custom t-shirts and apparel. The printer fits easily onto a table or optional stand for your use. With a low price point and perfect size, the Mutoh Valuejet is the best option for anyone entering the wide-format marketplace or wanting to expand their applications.